The 2018 iPad Pro doesn’t reinvent the wheel, but it does make small improvements to what was already an excellent tablet. The results are a sleeker design with more power under the hood, culminating in Apple’s best iPad yet. The iPad Pro is pitched as a premium tablet – one look at the price tag will tell you that. Does it live up to this lofty expectation? Absolutely, and more so. For anyone who wanted a powerful tablet and a large display, it’s time to welcome the Pro into your life – just make sure you bring your wallet. With a faster processor, the removal of the headphone port, and the Lightning port getting ditched, Apple has made some big changes to the specs for the 2018 Pro. 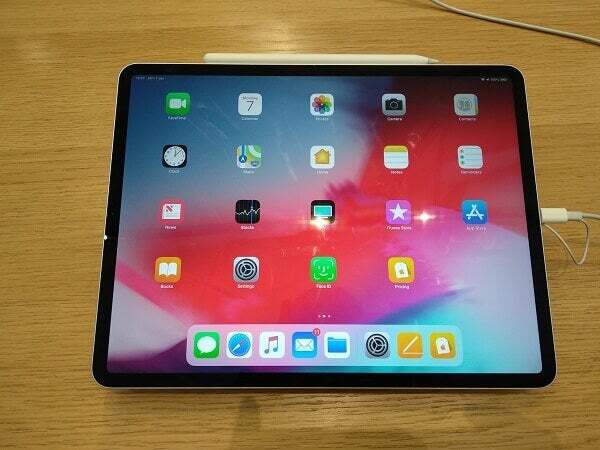 For, 2018, the iPad Pro has received probably its biggest facelift since Apple dropped its gen one model back in 2010. It’s still unmistakably an iPad at first glance, but look closer and you’ll notice some differences. To start with, there’s the bezel. It’s the thinnest we’ve seen on an Apple tablet, and that’s somewhat welcome when it comes to the Pro. Available in 11-inch and 12.9-inch, these are large tablets, and you don’t want to waste space on a chunky frame. The smaller bezel is thanks in part to the removal of the iconic Home button. That’s right, it’s been given the boot, going the same way as Apple’s latest iPhones. This means that the Pro has also lost its fingerprint sensor, but in its place, now uses FaceID to unlock. The Home button isn’t the only thing that the Pro has adopted from the iPhone. The 3.5mm headphone socket is also gone, so now you’re dependent on Bluetooth headphones, or purchasing a $9 dongle from Apple. 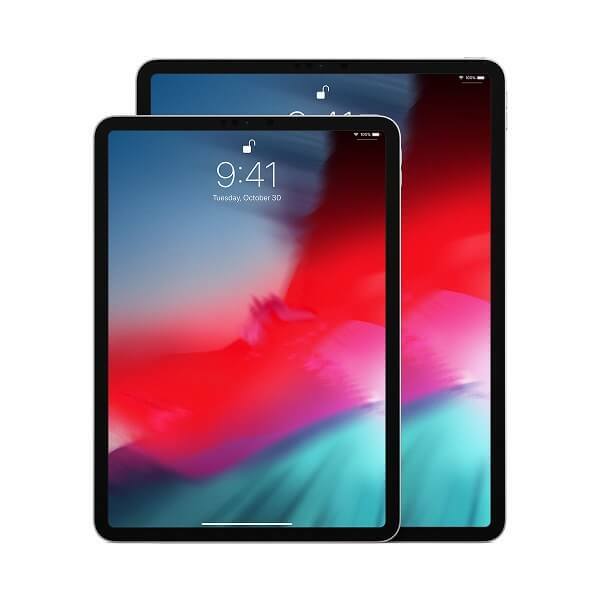 Despite the larger screen, the 11-inch Pro is the same weight as the standard 9.7-inch iPad (1.03 pounds), while the 12.9-inch isn’t much heftier (1.39 pounds). These are still highly portable devices that won’t tire your wrists easily. Apple has also made some changes to the remaining port. You’d expect to find the traditional Lightning port at the base of the Pro, but it’s been swapped out for a USB-C instead. It’s a strange choice considering that Apple has persevered with the Lightning connector for so long, even with its latest iPhones, but it’s still the right choice, and should make Pro owners happy. The USB-C offers more flexibility out of the box, and you can connect the Pro to a display, or top up your phones’ battery, simply by plugging in your iPad. In terms of screen, the 12.9-inch model features a display with a 2,732 x 2,048 resolution that is among the best we’ve ever seen on a tablet. The 10.5-inch model now becomes 11-inches, and has a 2,388 x 1,668 resolution. Both have adopted Apple’s Liquid Retina display, as seen on the iPhone XR, and if you’ve been wowed by it on mobile, wait until you see it on a bigger scale. Images are stunning, with excellent color reproduction as you’d expect, and serving up an incredible clarity. We expect excellent battery life from our iPads, and the Pro doesn’t let us down. As is pretty much standard across the range, you get 10 hours run time on the Pro. Although the 12.9-inch has a larger screen, which is more of a power drain than the 11-inch, it’s rocking a beefier battery, so the drain time is the same across both models. Apple has finally packed a faster charger into the box with the new Pro. It’s an 18 watt model instead of the usual 12 watt, so you can shave some precious time off that wait to reach 100%. So we know that it’s all-change for the exterior of the Pro, but what about inside? The biggest difference is the new processor, with Apple gracing its premium tablet with the A12x processor in place of the A10x from the previous Pro. What does this mean in real terms? Well, you’d struggle to call any iPad sluggish, and compared side-by-side against the standard 9.7-inch iPad in everyday use, you’re unlikely to spot the difference. However, it’s the complex applications – such as graphic intensive tasks like video editing or heavy-duty design work – where you’ll appreciate the A12x chip’s pure power. The 2018 Pro retains the 4GB of Ram of the 2017 model – that is, unless you splash out on the version with 1TB storage ($1,749), in which case you’ll be gifted with 6GB. That’s almost overkill, but you’ll definitely notice the difference 4GB makes compared to the standard 9.7-inch model’s 2GB when you start multi-tasking, flitting between apps, and putting the Pro through its paces. Apple claims to have redesigned the speakers on the new Pro, and it’s not too hard to believe. It still features four speakers, opposed to the 9.7-inch’s two, and they can be cranked up pretty loud, producing a meaty sound that doesn’t lose its clarity. The Pro is compatible with the Apple Pencil, which is now in its second iteration and includes touch controls this time around. Apple have also solved the issue of where to put it – hover the pen near the top edge of the Pro and it will magically (ok, magnetically) snap to the frame. Not only that, but it’ll start charging too. This feature is exclusive to the latest Pro models, and it’s a much neater solution than the first generation Pencil – this had to be charged via the Lightning port, and stuck out like an unsightly appendage. As for how the Pencil works, it’s as responsive as you would expect, replicating our crude scribblings on the screen with fantastic accuracy. The touch section of the pencil enables you to swap between options (such as pen type) with a click, rather than selecting it on the display’s menu. Unfortunately, Apple don’t give you one in the box, and it’ll be another $129 if you like the sound of it. Make no mistake, the iPad Pro is an expensive tablet. It starts at $799 for the 11-inch model, which is more than twice as much as the 9.7-inch iPad ($329). If you want a bigger, more spec-tastic model, the price really does creep up, nearly touching $2,000 if you get the model with all the trimmings. So, the question is, is it worth it? It really depends on what you’re after from an iPad. Most users will be more than content with the standard 9.7-inch model, unlikely to stretch it too far and encounter the limits of its abilities. As the name suggests, the Pro really is aimed at professionals, particularly creatives. For these people, the Pro is worth its weight in gold in terms of being a highly portable and flexible workstation. It’s also built to last –it’s a fantastically solid-feeling device, and like most Apple products, you can expect it to serve you for a long time. 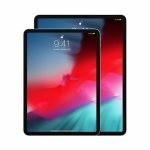 iPad Pro 2018: The iPad Pro 2018 is the best iPad to date, at least in terms of numbers. It’s the most advanced, most powerful iPad available. If you need your tablet to be a powerhouse, then this is absolutely the one to go for, especially now that its redesign means a thinner bezel and convenient compatibility with the 2nd generation Apple Pencil. iPad Pro 2017: The iPad Pro 2017 is something of a halfway house now that it has been exceeded by the 2018 Pro. With the standard 9.7-inch iPad snapping at its heels in terms of features and processor, it’s no longer the golden child of the range. It’s still a great iPad in isolation, and worth considering if you can find it at a heavy discount. Apple 9.7-inch iPad: The standard 9.7-inch iPad starts at $330, and is an excellent tablet for everyday use that will last you a long time. Most people won’t ever require the extra power that the Pro models can provide, and with the standard iPad now compatible with the Pencil, there’s one less reason to covet the Pro. Get the 9.7-inch iPad if you’re not looking to carry out demanding tasks, and if you’re after an iPad that’s particularly portable. If you need more help picking the right iPad for you, check our guide to Apple’s whole range: Which iPad Should I Buy? 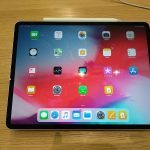 Is the 2018 iPad Pro Apple’s most technically impressive tablet to date? Yes. Unequivocally. Should you buy it? That one’s a little harder to answer. While the Pro is a absolute peach on paper, it comes at a price; it starts at more than double that of the standard 9.7-inch iPad, which is an excellent tablet in its own right – albeit without some of the bells and whistles. If you need (or just want) a powerful tablet with a large screen, then the Pro should be right at the top of your shopping list. If your needs are a little more modest, opt for the 9.7-inch iPad.